The secret sauce here is Uwais, the Indonesian international action star that many know from The Raid films but should fall in love with here. James Silva (Mark Wahlberg) isn't an easy man to work for or get along with. The leader of a special black ops team that takes care of the deadly missions that the government doesn't want you to know about, Silva has as much use for nonsense as he does for vacations: very little. A merciless man with nervous tics and the capacity to deliver big monologues about world history, Silva is methodical in the worst way. Silva's methods do work though, bringing out the best in his team, including Alice (Lauren Cohan of the Walking Dead), Sam (Ronda Rousey), Douglas (Carlo Alban), and Bishop (John Malkovich) at the command. Those meticulous methods are put to the test when a mysterious "walk-in" named Li Noor (Iko Uwais) claims to have precious intelligence on missing components that could keep nuclear weapons out of the wrong hands. Li Noor's request? Get him out of Southeast Asia in one piece, and he will hand over the code to the location of the weapons. All that stands between Silva's team, Li Noor, and the airport that lies 22 miles away are the deadliest assassins, Indonesian government operatives, and killers the world has to offer. In other words, it's no cake walk, but for thrill seekers, Mile 22 is a party. For director/producer Peter Berg, those 22 miles represent the opportunity to beat the audience over the head with kinetic action that only the actor-turned-filmmaker can produce. Think of the late Tony Scott with a more rapid pulse, and you have this film's energy level. This movie moves quick, talks fast, and doesn't care about your conscience. The violence is brutal and there is little remorse for moviegoers with high blood pressure. In interviews for the film, Berg pointed out the need to resort back to a good old-fashioned action opera after doing three consecutive true story tales in Lone Survivor, Deepwater Horizon and Patriots Day. Using his connections that were forged with Marcus Luttrell, the author and lead subject of Lone Survivor, Berg crafts a film here that doesn't let up for a second. Thankfully, he retained his cinematic partner in crime, Wahlberg. The actor and director know how to create engaging entertainment that doesn't lie. One of the most versatile talents in the game, Wahlberg leans into the ruthless leadership methods of Silva, a man whose job consumes his life while keeping the country and world safe in the process. Early on in the film, it is hinted that Silva suffers from some communicative disorder, but the reality is the man has little care for feelings and is all work and no play. The supporting cast is well-equipped for the material. Cohan is indomitable as a woman balancing a family life at home that is falling apart and a job that she is too good at to quit. Rousey is a true force of nature as the one person on the team without complication, while Alban does good work with little screen time. Malkovich doesn't need much dialogue to convince, and Billions actor Terry Kinney has a single wonderful scene. Sam Medina's bad guy is a good foil for Wahlberg's anti-hero. However, the secret sauce here is Uwais, the Indonesian international action star that many know from The Raid films but should fall in love with here. Uwais' Li Noor is one deadly dude, and in several hand-to-hand combat sequences, gets to show off martial arts skills that will remind you of Jet Li and Jackie Chan if they were combined. Berg's plan here is to produce a good action flick while introducing American audiences to the audacious talents of Uwais. He is something else, and right when the movie even thinks about slowing down, he shows up punching, kicking, and dispatching people in unruly ways. The key here is that you can't completely trust Li Noor during this film, and Berg and the screenwriting team, including Graham Roland and Lea Carpenter, keep the audience in an uncomfortable place even as they rest on the edge of their seat. If you think this is a standard extraction plot, please think again. The narration and flashback storytelling devices used by Berg and company overwhelm you initially, but are done for a reason, allowing more to exist on the surface than initially perceived. Just know that the action doesn't let up. This is Hollywood on three cans of red bull and a double espresso to boot. Each actor gets the opportunity to own the screen for a few minutes, and I'm not just talking about Wahlberg and Uwais. Cohan gets a gruesome knock-down drag-out brawl that is reminiscent of Jennifer Garner's fight scene in Berg's The Kingdom. Rousey and Alban also get their own grand moments of heroism. Here's the thing: Berg knows what he is doing here. He's a confident director who makes movies that he and the audience want to see. After adhering to the rules of real life for so many films, he wanted to cut loose and have some fun. While there are some extra layers to the plot and the third act comes and goes quickly, this is supposed to be a cinematic release. It's not for Oscar consideration or Downtown Abbey lovers. 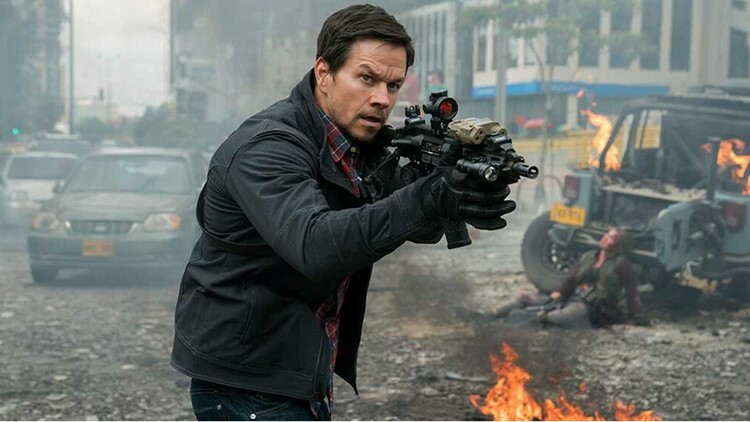 Mile 22 is just like its characters: tactical in battle with no care for your well-being or feelings-and the cast convinces you at every turn. It aims to please and for 92 minutes, this Berg joint delivers the goods. Here's another thing: since the government is so secretive and shady about these operations, there's a good chance these teams really exist and that there are people out there like Silva. The action may be heightened at times, but there's a grounded appeal to the underlying morals about what the United States of America does under the dark of night. Berg knows that and uses it to his advantage in crafting a euphoric slab of entertainment. I'll be seeing it again for multiple reasons, including the chance to see Uwais kick and punch, Wahlberg lead like few others can, and to unpack a plot that is more than meets the eye. There have been rumors of the tandem making a sequel to this film, and let's just say the end leaves a lot of wiggle room for more methodic Silva tales. Mile 22 isn't going to change your life, but if you want a relentless action film that introduces you to the next Jet Li, buy a ticket and take a seat. Just don't forget about the blood pressure medication.